We are looking ahead to winter and this vehicle specific blog post takes an in-depth look at winter driving in a BMW 5-series. As with most BMW’s the rear wheel drive nature of this vehicle makes it a challenge to control during the winter months. However fitting the right winter tyre, or wheel and tyre combination can transform this vehicle which is why our partner, Tyremen, has the 5 series packages as one of their best-selling winter solutions. Click here to see what’s on offer. Our recommendations for safe winter driving varies depending on the age of the vehicle. We’ll start with the E60/E61 models (2003-2009). Base models generally come on tyre size 225/55R16 and by simply changing from summer to winter tyres in this size you will vastly improve the vehicles winter performance. The best 2 winter tyres in this size are either the Vredestein Wintrac Xtreme S or the Continental TS830 P.
Some of the 520 & 525’s may come on 17″ wheels as standard, usually with 225/50R17 tyres. With these vehicles you have a choice of going for winter tyres only, or you could also drop down to 16″ wheels & tyres if you prefer. Generally one of the main advantages of reducing wheel size is that you benefit from a narrower tyre which improves winter performance. Since both 16″ & 17″ wheels would be fitted with a tyre with section width of 225 then there is no real advantage here. 16″ wheels and tyres would be cheaper than 17″ packages so there is a saving to be had of around £270 on a set of equivalent products. Larger engine versions such as 530 & 535 can be fitted with 17″, 18″ and in some case 19″. If fitted with 17″ then you can’t reduce wheel size any further because of the size of the brakes on these vehicles. Something to note is that BMW may also use the tyre size 245/45R17, this is the same overall size as 225/50R17. If fitting winter tyres to 17″ rims then we’d recommend using the 225 size, even if 245’s are fitted at the moment. The narrowness of the 225 really does help when it comes to driving in harsher conditions, even improves fuel economy! Vehicles fitted with 18” could have 245/40R18 on both the front and rear, this would give the options of going for just tyres or a 17” package. In 245/40R18 again either the Wintrac Xtreme or the TS830 P would be the ones to go for. Some vehicles have a larger wheel on the rear with 275/35R18’s, if this is the case then the rear is too wide to really be effective. Sourcing a winter tyre in this size would be especially difficult and it would be better to consider a 17” package really. This is also the case with 19” wheels, the rears are far too wide to work in the winter. A 17” would have no problem fitting and would be much more effective. 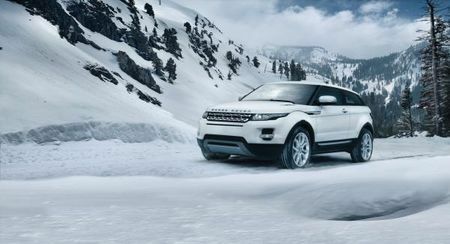 The vehicle would take on a different look, but we’re talking about winter driving so you need to consider practicality. 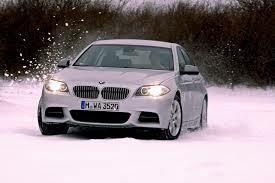 Just a note about run-flats, Tyremen offer 17” winter runflats which are suitable for 5-series by Dunlop. Many customers that own vehicles fitted with run-flats move away from them for winter which helps to keep the cost down. If you want to do this then consider buying a repair kit in case of a puncture and make sure your road side assistance is up to date. Moving onto the new 5-series F10/F11 2010 onwards, things are slightly different here. The new models no longer come on 16” as standard, base models are fitted with 17” and rim sizes go all the way up to 20”. The wheel spec is a different too, so unfortunately if you move from an old model to a new one then you may well need a new winter set up, as always our advice would be to try and sell any winter tyres or wheels along with the vehicle sale. If you vehicle came on 17” wheels then you can opt for just tyres or wheels and tyres, tyre size is slightly bigger now; 225/55R17 which can be run-flat or standard. Or partner keeps Vredestein, Goodyear, Dunlop & Continental in standard winter and Dunlop runflats , all of which are great cold weather tyres. Tyremen also offer a 17” wheel and tyre package for new 5-series which are very popular indeed. Steel wheels are not made for the F10/F11 so you need to look at alloys and Tyremen import the Alutec Design-E which is a perfect fit and takes the original bolts. This package is suitable for all new 5 series, even if fitted with larger wheels than this as standard, this package is one of Tyremen’s best sellers. The same wheel is also available in 18” so drivers that want the keep the look of the larger wheel can get this from this option. The only issue with the 18” package is that you need a 245/45R18 tyre which is a rather expensive size and does make the package about £250 more than the 17″ option. Also the 17” package will be more effective because of the narrower tyre that is used! We’ll just finish off by discussing the 5 series GT (Gran Turismo), if you are lucky enough to own one of these vehicles then a specific 18” wheel & tyre package is available. This uses the same 18” wheel used on the regular 5 series but with a different tyre size (245/50R18). Tyremen offer Continental winter for use on these packages which can be purchased in standard or runflat version. We hope this is of use, if you have any questions don’t hesitate to get in touch with our partner, Tyremen who have many years of winter wheel and tyre experience. Ring 0845 807 808 for more info. Have you ran a 5 Series on winter tyres? Would you like to leave a comment for other 5 Series owners? Please do so below, your thoughts are just as helpful as ours. 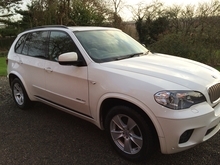 Here at Winter Tyre Reviews, we are going to discuss wheels and tyres for the BMW X5 from 2007 onwards to get the most out of your X5 during the winter months. Click here for the range. From 2007 onwards, the BMW X5 start at 18″ wheels as standard, our partner, Tyremen, will shortly be stocking Vredestein, Bridgestone and Yokohama in standard tyres and Continental in runflat. By far the best seller for Tyremen is the Vredestein Wintrac 4 Xtreme and is a fantastic winter tyre that can handle some quite tough conditions. Here at Winter Tyre Reviews we are going to explore the winter wheels and tyre options for the Audi Q5. We have previously covered the Q7 in the Audi ‘Q’ range with vehicle specific information. The Q5 is the middle of the ‘Q’ range and is proving to be a very popular all purpose family vehicle and has a 5 star NCAP rating for safety, so why compromise this when it comes to winter tyres? As you will be thinking, the Q5 is 4 wheel drive? Surely it’s designed to work in winter conditions? Well, yes it is, but like anything in life, sometimes a modification may be required and this is when winter tyres become a safety feature. All Q5’s come with summer tyres as standard, these perform superbly in the warmer weather, giving amazing grip and handling for a car of this size. But in the colder weather, below 7 degrees, the rubber compound in summer tyres becomes less flexible and gives less grip and traction in snow, ice and slush. The Q5 is often fitted with wide wheels and tyres. These look great and makes the vehicle stand out, but these give a large tyre print on the road which does not work well in the winter, the best guidance is the narrower the better for the best grip. 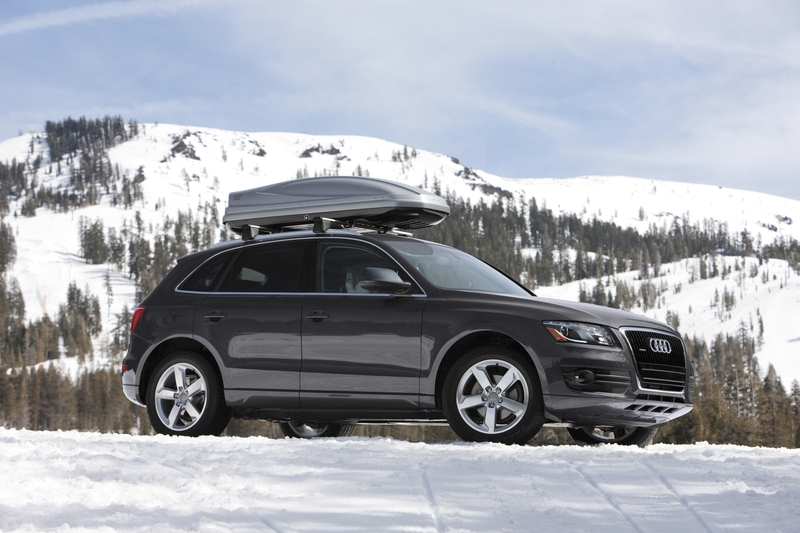 The Q5 is a popular vehicle for that winter trip into Europe. 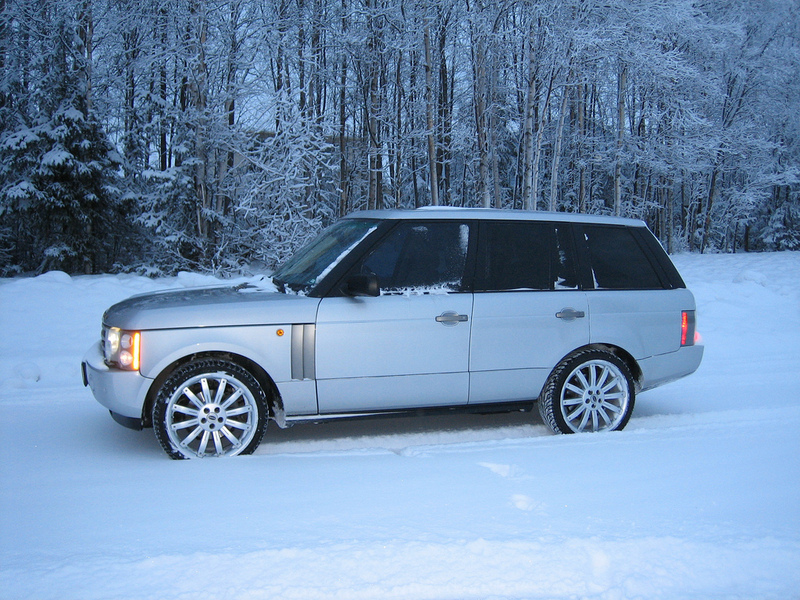 Resorts in the Alps and other regions often have a requirement by law to have winter tyres fitted. The main use of your Q5 is for transporting your most precious cargo, your family. You want to be certain that when you go out on the school run, everyone is going to be as safe as they can be. So lets look at the options and what is available for the Q5. The Q5 comes in a range of wheel sizes from 17″ to 20″, so there is a great range available to you, however, not every wheel size has a variation in choice of tyres. We recommend that for winter equipment, you put no larger than a 17″ wheel fitted with a Vredestein 235/55R17 even if you have 20″ wheels as standard. There are two different versions of the Vredestein in an ‘H’ rating and a ‘V’ rating. There are two wheels that are supplied by our partner Tyremen, The first is the Grip, by German company Alutec. As you would expect, a German engineered wheel has exceptional quality, a 5 year guarantee and TUV approval. It is designed to compliment the look of the Q5. The next wheel is the W10 by a Uniwheel who are the parent company of Alutec. Again, this is a fantastic wheel and was new to the market for the 2013/14 winter season. Feedback from customers has been positive for this wheel. It is an Audi specific wheel that is engineered to fit perfectly and take the original bolts, comes with a 5 year guarantee and has TUV approval. The perfect fit for your Q5 and with prices starting at a little over £1000, we feel that this is the perfect investment as we know this is a car that you are going to keep for a few years. Now you’re asking why? Well, for the best traction, steering and handling in winter weather, as we said earlier in this post, the narrower the better is the rule to follow. Our partner, Tyremen, are able to offer a huge range of winter wheels and tyre packages or tyres only to have fitted to your current wheels. We hope that you have found this blog informative for your Q5 winter driving and it will enable you to make the right choice for you. If you require any further help or advice, then please feel free to contact the friendly guys at Tyremen. In our last blog covering the Audi ‘Q’ range, we are going to look at the Audi Q3, the smallest of the range, but by no means any less impressive. The Audi Q3 comes with four tyre sizes as standard with wheel sizes 17″, 18″ and 19″ and has 4 wheel drive capability and is an outstanding small family SUV. The Audi Q3 has achieved a 5* NCAP rating for safety, so why not compliment this in the winter season with the correct equipment? As we approach the winter season, you will be wondering why we are discussing winter wheels and tyres for a 4WD vehicle? Surely its purpose is to perform in just these conditions? Well, you are correct to a point. As with most things in life, we sometimes have to make small adjustments to gain the best performance from any product, and winter tyres are just this example. As with previous blog’s in the Audi ‘Q’ range; your Audi Q3 comes with summer tyres as standard, these perform as they should in the warmer conditions but struggle below 7 degrees. The rubber compound make up of a summer tyre does not have the flexibility in colder weather, snow, slush and ice, giving less grip and reduced handling and stopping distances. 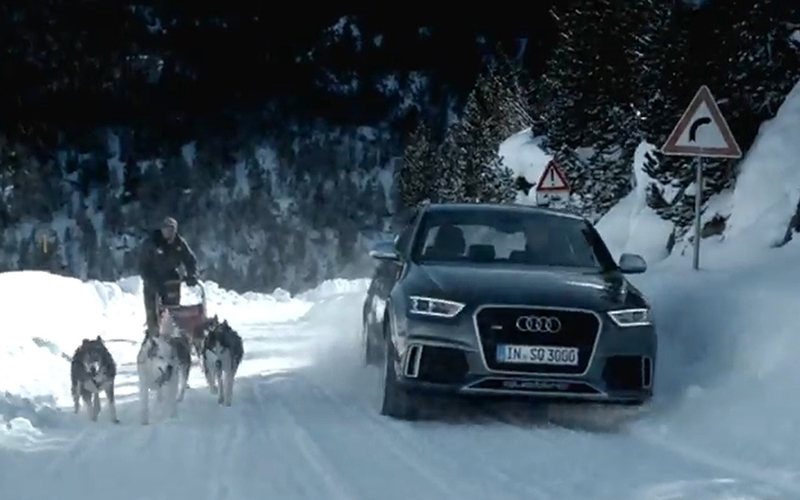 Do you take your Audi Q3 away for that winter trip into Europe? This often requires you to have at least winter tyres fitted and is a requirement by law in certain regions. As the Audi Q3 is the baby of the range, it already comes with wide wheels and tyres that fit the vehicle perfectly. However, as we have discussed in previous blogs, the narrower the tyre the better. Why? Well, the larger the tyre print on the road surface during winter conditions, the more difficult it is to gain and maintain traction, handling and stopping distances. Having a narrower tyre print increases all of these qualities that you expect from an Audi vehicle. Ok, so what are we recommending? As we discussed, the narrower the tyre the better, however, when we get down to tyres on the Audi Q3, they are already a respectable size. Audi fit wide wheels as standard so that they do the job they are supposed to for 7 – 8 months of the year. With our official partner, Tyremen, we have found the best solutions for your Audi Q3. There are three options open to you for the winter season. If your Audi Q3 came with 17″ wheels, we advise dropping down a size to the 16″ option fitted with 215/65R16 tyres, there are several makes available from economy to premium. We would always advise fitting the best tyre possible. Did your Audi Q3 come with either the 18″ or 19″ wheels? Then you too can drop down to the 17″ option fitted with 235/55R17 tyres, our partner Tyremen, stock winter tyres in this size in the mid to premium range. The best tyre for this size, giving outstanding winter performance, grip, handling and mileage is the Vredestein Wintrac 4 Xtreme. All tyres come in various speed ratings which cover all UK and European limits. The wheels supplied by Tyremen are from the German company, Alutec, and perfectly compliment the look of the Audi Q3. The Grip wheel is as you would expect from a German manufacturer, high quality, a 5 year guarantee, TUV approved and looks great on any of the Audi ‘Q’ range. But why should you do this and not just buy a set of winter tyres and have them fitted every year? Well that is an option. Winter tyres should last around 2 to 3 winters dependant on mileage. A set of wheels and winter tyres start around £700 for the 16″ package and from £1016 for the 17″ package. To have the tyres swapped, balanced, and time to have the wheels refitted, this is usually around £120 per time, twice a year. Over the life of both sets of tyres, this could be a minimum of £700 plus the cost of tyres. With a car this good, we know you’re going to keep it for several years and this makes having the second set of wheels and tyres the perfect option. We hope that you have found this blog informative for your Audi Q3 winter driving and it will enable you to make the right choice for you. If you require any further help or advice, then please feel free to contact the friendly team at Tyremen. Selecting the right tyre for your car is always something of a compromise. The vast majority of tyres fitted to cars in the UK are standard summer tyres. By comparison, in many other European countries it is a common practice for drivers to fit winter tyres in late autumn and revert back to standard tyres in the late spring. For more information on winter tyres click here. The UK perception that winter tyres only give benefits on snow or ice is years out of date. Modern rubber compound technology and advances in tread pattern design mean that today’s winter tyres also provide higher levels of road safety on cold and damp road surfaces too. Independent research commissioned by TyreSafe found that more than half of UK drivers feel less safe when driving in the winter. Their biggest worry is that they will be involved in an accident as the roads feel more slippery. With their additional levels of grip, winter tyres could allay this fear for many drivers. Through a typical 12 month period, the UK experiences temperatures ranging from +32C to as low as -15C. Given such diverse weather conditions, it’s unreasonable to expect one type of tyre to provide consistently high safety levels. Temperatures below 7C are experienced throughout the UK between October and March. The air temperature is crucial to your tyres’ ability to perform. When the temperature drops below 7C the tread compound in normal tyres begins to harden and gives you less grip. The tread compound in winter tyres contains more natural rubber to minimise the hardening effect, which gives them extra grip in cold, wet and icy conditions. This means that with winter tyres you will experience significantly shorter stopping distances. Today’s winter tyres are just as quiet and comfortable as normal tyres. For peace of mind on your journey, make routine checks on your tyres. Every 4 weeks check the pressure of your tyres when they are cold. Check the tread depth of your tyres – the minimum legal UK tread depth is 1.6mm across the central 3/4 of the tyre, however we recommend that tyres are replaced before reaching this minimum level. As your tread depth decreases your stopping distance in wet weather increases as the tyre isn’t able to disperse snow, slush and cold winter water quickly enough. Check your tyres for damage. Look out for any cuts, cracks or bulges as these can lead to slow punctures and blow-outs. Don’t forget to check the tread depth and air pressure of your spare tyre. When driving in winter it is important to take some extra precautions to make sure that you are safe on the road. So why not give the guys at Tyremen a call for free help and advice. 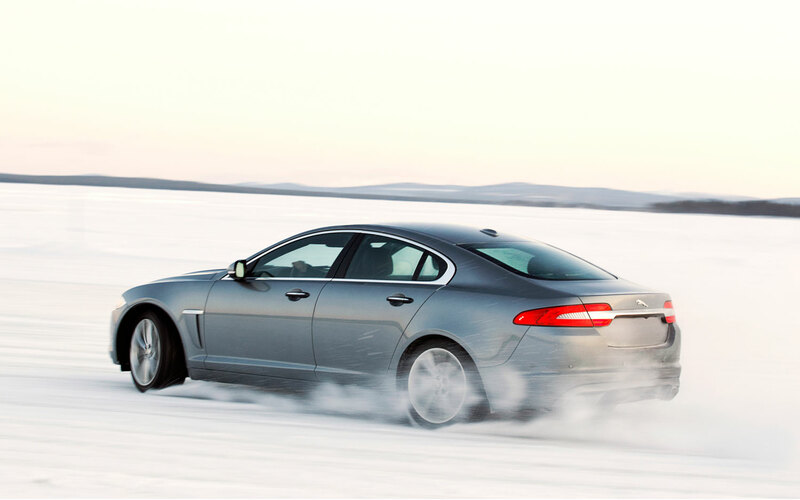 Here at Winter Tyre Reviews, we are always looking to offer you the best tips when it comes to cold weather driving. 1. Where do you keep your de-icer? In the boot like everyone else! Don’t, keep a tin in the house and one in the boot. It’s better than having to boil the kettle to unfreeze the lock and you won’t crack your windscreen. 2. Have you checked your tyres? Make sure you have enough tread, don’t put off changing them because you think 2mm will do for now, you need more grip in winter conditions. Better still, if you drive a lot of miles to get to work, invest in winter tyres. 3. Get your tyre pressures checked, over or under inflated tyres will reduce grip and the vehicle will slide. 4. Is your vehicle front wheel or rear wheel drive? It makes a big difference. 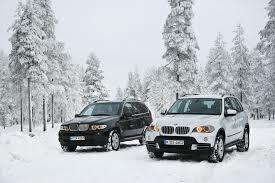 Its great driving the two seat sports vehicle or the rear wheel drive, but it will move a bit on snow or ice. Get a 25kg bag of sand (or even road salt, handy if you get stuck) and put it in the boot, it helps with rear wheel grip. 5. Keep the fuel tank topped up, it increases weight at the back, helps keep you warm if you get stuck. 6. Keep mobile phones charged and any other electronic gadgets you may need. 8. During cold winter weather, top up the washer bottle with un-diluted washer fluid. Don’t dilute it as it becomes less effective and will freeze in the bottle. 9. Check your wiper blades, don’t use them with ice on the screen; make sure its clear first. Replace worn wiper blades as you will need them to maintain visibility. 10. Make sure your anti-freeze is topped up and to the correct mixture, use your service book or talk to the dealer. When water freezes it expands and could damage the engine block, the water pipes and the radiator. 11. Check your lights and make sure you have spare bulbs with you, keep visible on dark nights and bad weather. 12. If your vehicle is parked up over the weekend, give it a regular overnight trickle charge in the garage. 13. Keep a dry pair of footwear in the vehicle, take off those big boots that are covered in snow as they will make your feet slip off the pedals. 14. Pop to your local motorists shop or DIY store, the smaller independents are usually best, and buy a 25kg bag of salt for your driveway. No point having a snow and ice free vehicle if you can’t get out of the driveway. 15. Clear all the glass with a scraper, don’t use hot water as this will crack the glass. 16. If the vehicle is covered in snow, start at the roof and move it all off. If you don’t, it will just fall over the glass as the vehicle gets warm inside. 17. Use your air conditioning, if appropriate, to keep the screens from condensation, frozen water inside is hard to remove. But remember, keep the temperature to 21-22C, it doesn’t need to be too hot inside when you have thick clothes on as this can make you drowsy. 18. When starting the engine, if it doesn’t fire up in the first 5 seconds or so, leave it for a minute before trying again to allow the battery to recover. 19. After you’ve started the engine, leave it for a minute to let the oil flow round, excessive revs can damage the engine. This will put power back into the battery. 20. Pull away in second gear, easing your foot off the clutch gently to avoid wheel-spin. 21. Driving up hill? Avoid having to stop part way up by waiting until it is clear of other vehicles or by leaving plenty of room from the vehicle in front. Keep a constant speed, choosing the most suitable gear well in advance to avoid having to change down on the hill. 22. Driving downhill? Reduce your speed before the hill, use a low gear and try to avoid using the brakes. Leave as much room as possible between you and the vehicle in front. 23. If you have to use brakes then apply them gently. Release the brakes and de-clutch if the vehicle skids. 24. Automatic transmission – under normal driving conditions (motorways, etc.) it’s best to select ‘Drive’ and let the gearbox do the work throughout the full gear range. In slippery, snowy conditions it’s best to select ‘2’, which limits the gear changes and also makes you less reliant on the brakes. Some autos have a ‘winter’ mode which locks out first gear to reduce the risk of wheel spin. Check the handbook. 25. If you get stuck, straighten the steering and clear the snow from the wheels. Put a sack or old rug in front of the driving wheels to give the tyres some grip. Once on the move again, try not to stop until you reach firmer ground. 26. Make sure that all electrical items, lights, air-con, heated screens, mobile chargers etc. are switched off before you turn off the engine, leave the engine running for a minute or two to replenish the battery. Use the same thought before starting, do not switch on the lights etc. before starting the engine, it will drain the battery. 27. And most importantly, give yourself an extra ten minutes in the morning to prepare your vehicle before you set off. It’s better than trying to see through a letter box sized slit in the ice on the screen.